For those that wish to hit the slopes for the first time and experience the joy of skiing, starting out can be somewhat intimidating. Between the sheer size of the mountains and the speeds at which you’ll be traveling down them, figuring out where to begin can be tricky. First, it’s best to start with the basics. Boots, on the other hand, can ruin an entire day of skiing if they aren’t comfortable. Your feet should be snug, but not so tight as to cause pain. Your feet should not be able to move within the boots once you are strapped in. Depending on the weather, you may want to pack eyewear on a sunny day, as snow blindness can occur, causing a temporary loss of vision. Goggles or even athletic sunglasses can prevent undergoing this. Of course, it is more than likely going to be cold. Be sure to wear a layer of thermal clothing underneath your (waterproof) jacket and pants, as cotton allows cold air to pass through. Helmets, while not mandatory, are highly suggested for first-time skiers. Falling in any sport can result in head injuries, and it’s best to be prepared rather than suffer a concussion. This is another piece of equipment that most mountains should provide as rentals. Your stance is incredibly important. Keep your feet shoulder width apart and your toes pointing inward, which gives you a solid base position for slower speeds (known as the pizza stance). The more you point your toes inward, the more you will slow down. 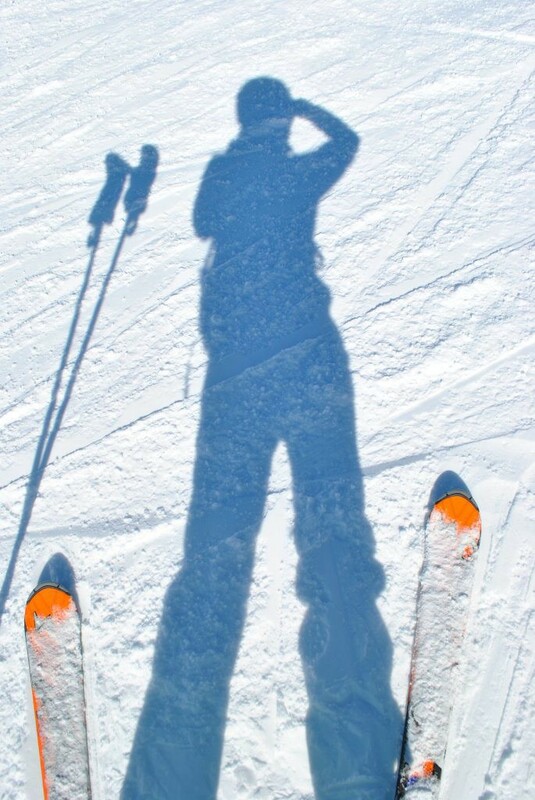 When turning downhill, you must turn your skis so that they are both facing the sides of the slope, which you can do so by just lifting your feet. Having your skis parallel will take some practice, but gives you more control at higher speeds and around sharper turns. Slowly transition to this stance by practicing the aforementioned pizza stance until you become more comfortable lifting your feet at faster speeds. It’s extremely crucial to understand trail markings, as beginners will not want to go down the hardest slopes on mountain. Those marked green and blue are the easiest respectively, followed by red and black which are the most difficult. Easier courses tend to be much more level, with the harder ones being steeper and with more difficult conditions i.e. moguls, deeper snow, trees, etc. At the end of the day, skiing is all about having fun. For beginners, as long as you are taught the proper techniques and knowledge necessary to keep yourself safe and upright, this might just become your newest winter hobby.